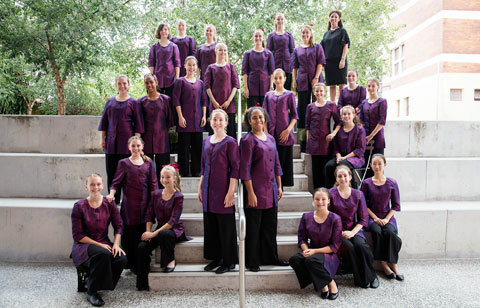 Encorah is the premier auditioned choir at St Margaret’s Anglican Girls School in Ascot, Brisbane, Australia. The choir consists of girls ranging in age from 12 to 17. The choir sings a wide range of repertoire ranging from traditional choral works through to spirituals and more contemporary pieces. Encorah perform at both school events and in the broader community at charity events and in Brisbane’s St John’s Cathedral. The choir has a strong tradition of involvement in music festivals and has enjoyed performing with musicians from all around the world. In 2006 Encorah gained 1st place in the Chamber Choir Division at the internationally renowned Kathaumixw Choral Festival, Powell River, Canada. In 2008 Encorah participated at the Llangollen International Music Eisteddfod in Wales and placed fifth in a field of eighteen competitiors in the Children’s Choir Section. The choir went on a regional Australian tour in 2009 travelling to the outback communities of Goondiwindi, St George and Roma. Encorah had the opportunity to tour France and Italy in 2010 providing performances as part of the Accademia San Felice Festival. As part of that tour Encorah gave a performance in the Caravita Church in Rome organised by Mr Tim Fischer AC, Australian Ambassador to the Holy See. In 2014, Encorah travelled to France and the UK and had the special privilege of performing in Paris’ iconic Notre Dame Cathedral. On the same tour, the choir also enjoyed performing at the wonderful Llangollen Music Festival held in northern Wales. Their conductor Ms Regina Brennan has over 25 years of teaching experience in primary classroom music, choral conducting and coordinating music programs and vocal coaching. Regina began her career as an Opera Singer gaining performance experience in London under the instruction of Kate Patterson, Royal Opera, Covent Garden and did several master classes with Janice Chapman. While gaining experience as a singer and teaching classroom music, Regina undertook studies at Trinity College of Music, London working with internationally renowned singers and worked as a vocal coach in several London colleges and well-established music schools. She was appointed as a vocal coach at Westminster Abbey School, Central London and coached young singers who were performing in productions with Royal Opera, English National Opera. 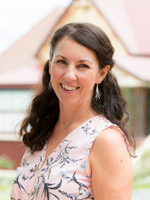 On her return to Australia, Regina began working with the performing choir at the Australian Girls’ Choir while teaching and coordinating music programs with Education Queensland and Catholic Education. She currently directs the choral program at St Margaret’s and teaches primary classroom music. Along with private vocal tuition, Regina trains and conducts numerous vocal groups in the music program at St Margaret’s Anglican Girls School. She has been guest conductor at the Anglican Schools Music Festival in Brisbane and has established an adult community choir at the school.